Tree Fu Tom join the fun, come along now everyone. Tigger was recently sent the the Tree Fu Tom Ranger Utility Belt and it has been a huge hit in the Boo Roo and Tigger Too household. 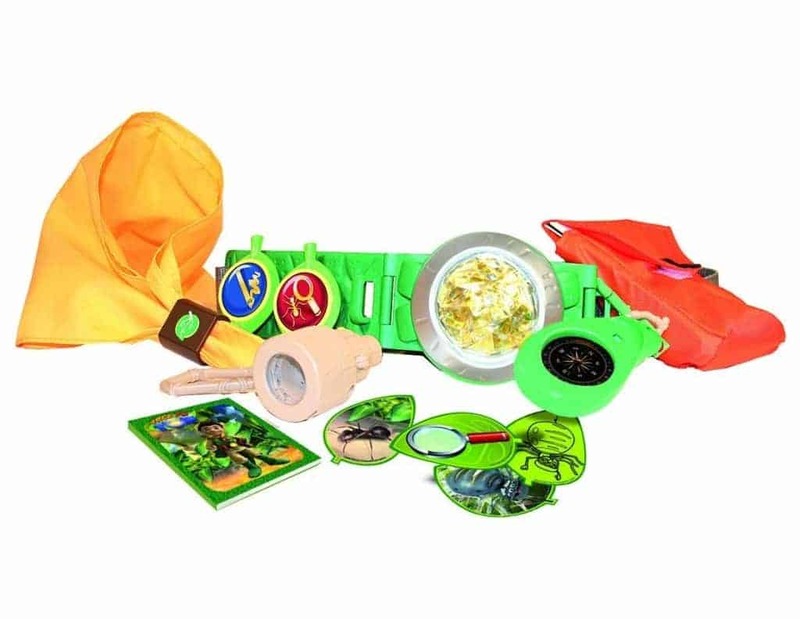 What’s included in the Tree Fu Tom Ranger Utility Belt kit? Become a Tree Fu Ranger just like Tom – put on your scarf, woggle and belt and get ready to search, draw and explore! The utility belt has a rotating, reflector Sapstone as well as a handy pouch to store objects. So clip the Ranger badges and accessories onto your utility belt and you’re ready for the next Tree Fu adventure! Tigger absolutely his new Tree Fu Tom Ranger Utility Belt, so much so that it is put on as he gets up in a morning and is worn throughout out the day (mealtimes included). Personally I really like the concept of it, allowing a children to be just like Tree Fu Tom but without having to ‘dress up’ as such, great for Tigger who isn’t too keen on fancy dress costumes. As the set is suitable from 3+ years and the programme itself is aimed at pre-school and school age children the manufacturers really need to rethink the sizing of the belt. Tigger is a small three year old and I have had to double over the belt to get it remotely fit him. I tried it on Roo thinking that maybe Tigger just wasn’t big enough for it, however even at 7 years old the belt fastened on its smallest setting was too big. The addition of a hook n loop fastening or the ability to adjust the belt either side might just solve the problem. Priced a RRP £19.99, I think it is a good price especially when you compare it to a fancy dress outfit which is generally only a one or two piece set, this comes with so much more. Available to buy from Amazon, Smyths Toys and other good toy retailers. 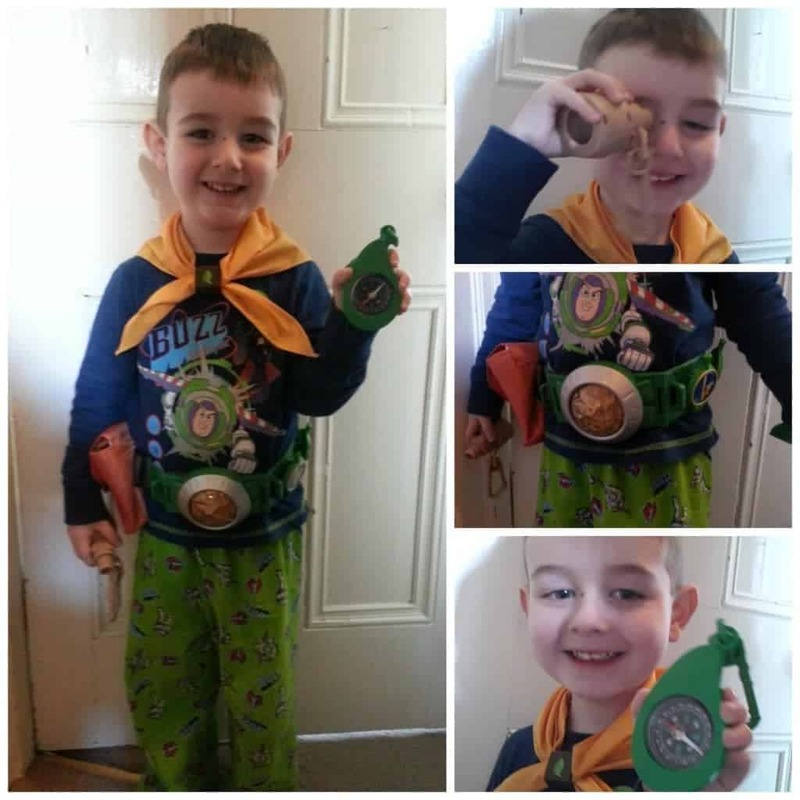 Disclosure: We received the Tree Fu Tom Ranger Utility Belt FOC for the purpose of review.